Before 1713: born in Ôsaka. He was a kyôgenshi at the beginning of his career. He joined the Kabuki world and became a disciple of Yamamoto Kanbê, who gave him the name of Yamamoto Hikogorô. 1st lunar month of 1713: Hikogorô became tachiyaku and performed at Kameya Kumenojô's theater in the kaomise drama "Fukubiki Miuma no Ôkamado". Fall 1713: Hikogorô went back to Ôsaka. 11th lunar month of 1713: Hikogorô became zamoto and produced in Ôsaka the kaomise drama "Ôminato Kogane no Izumi", in which he performed as a wakashugata. 1st lunar month of 1714: Hikogorô produced in the same theater the new year drama "Keisei Takara no Yamazaki Gayoi", in which he performed as a tachiyaku. 11th lunar month of 1715: Hikogorô played in Ôsaka the role of Heimanojô in the kaomise drama "Saiwai Mochimaru Chôja", which was produced by Iwai Hanshirô III. 11th lunar month of 1717: Hikogorô played in Ôsaka at the Higashi no Shibai the role of Kanebayashi Hyôgo  in the kaomise drama "Meryû Oryû Kogane no Uroko", which was produced by Arashi San'emon III. 11th lunar month of 1718: Hikogorô performed in Ôsaka at the Higashi no Shibai in the kaomise drama "Kogane no Seigaiha", which was produced by Arashi San'emon III. 1st lunar month of 1719: first Kabuki adaptation of Chikamatsu Monzaemon's 1708 puppet theater drama "Keisei Hangonkô" by Kyôya Yagoshirô, which was produced by Arashi San'emon III in Ôsaka at the Kado no Shibai; Hikogorô played the role of Utanosuke [casting]. Fall 1721: Hikogorô went to Kyôto. 11th lunar month of 1721: Hikogorô performed at Hoteiya Umenojô's theater in the kaomise drama "Banshiki Kogane no Miyako", which was produced by Ogino Yaegiri I. 1st lunar month of 1722: Hikogorô's rank in the Kyôto hyôbanki, tachiyaku section, was jô-jô (superior-superior) [visual]. He shared the same rank with Somenoi Hanshirô, Hyakunin'isshu Genzaburô, Yamamura Giemon I and Kanazawa Hikogorô II. Fall 1725: Hikogorô went back to Ôsaka. 11th lunar month of 1725: Hikogorô played at the Naka no Shibai the role of Umeyama Daigaku in the kaomise drama "Hôraisan Imose no Matsu", which was produced by his adopted son Yamamoto Kyôshirô I. 1st lunar month of 1726: Hikogorô's rank in the Ôsaka hyôbanki, tachiyaku section, was jô-jô (superior-superior) [visual]. 11th lunar month of 1726: Hikogorô played at the Ônishi no Shibai the role of Shugaki Ushiemon in the kaomise drama "Gosha no Yonegura Fukki no Yama", which was produced by his adopted son Yamamoto Kyôshirô I. 11th lunar month of 1727: Hikogorô played at the Naka no Shibai the role of Negi Sakudayû in the kaomise drama "Imosegami Aioi no Futabayama", which was produced by his adopted son Yamamoto Kyôshirô I. 1st lunar month of 1729: Hikogorô and his adopted son Yamamoto Kyôshirô I went together to Edo; they performed at the Moritaza in the drama "Higashiyama Chôseiden". 17th day of the 8th lunar month of 1729 : his disciple Yamamoto Matsusaburô II died in Edo. 11th lunar month of 1729: Hikogorô played at the Moritaza the role of Suzuki Saburô in the kaomise drama "Yahagi no Chôja Kogane no Ishizue". He was the zagashira of the small troupe performing in this theater. 1st lunar month of 1730: Hikogorô's rank in the Edo hyôbanki, tachiyaku section, was jô-jô-kichi (superior - superior - excellent) [visual]. He shared the same rank with Matsumoto Kôshirô I, Ôtani Hiroji I, Sawamura Sôjûrô I, Bandô Hikosaburô I and Ichikawa Danzô I. 1730: he started also to work in Edo as a sakusha. 11th lunar month of 1730: Hikogorô played at the Moritaza the role of Takechi no Genta in the kaomise drama "Kankatsu Michinoku no Miyako". He was the zagashira of the small troupe performing in this theater. 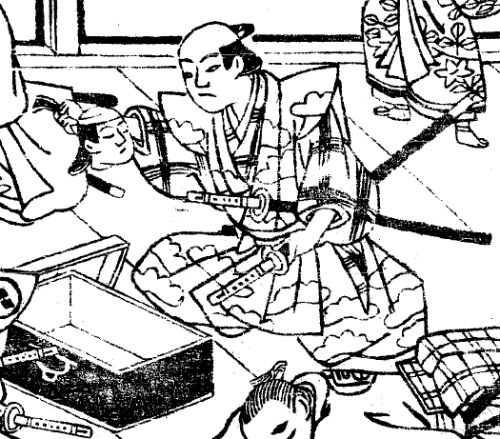 1st lunar month of 1731: Hikogorô's rank in the Edo hyôbanki, tachiyaku section, fell to jô-jô-(hanshiro)kichi [visual]. 11th lunar month of 1731: Hikogorô played at the Ichimuraza the role of Hosokawa Gyôbu in the kaomise drama "Higashiyama Dono Eiga Butai"; his stage partners were Ôtani Hiroji I, Bandô Hikosaburô I, Ichimura Takenojô IV, Sakata Hangorô I, Sanjô Kantarô II, Segawa Kikujirô I, Sodesaki Iseno I, Hayakawa Shinkatsu and Ichikawa Sôzaburô I. Fall 1732: Hikogorô went back to Ôsaka. 11th lunar month of 1732: Hikogorô played at the Kita no Shinchi Shibai  the role of the rônin Suzuki Sakyônoshin in the kaomise drama "Hana Yakata Imose no Matsukane", which was produced by his disciple Yamamoto Kyôzô. 1st lunar month of 1733: Hikogorô's rank in the Ôsaka hyôbanki, tachiyaku section, was jô-jô-(shiro)kichi (superior - superior - (white) excellent) [visual]. He shared the same rank with Nakamura Jûzô I and Nakayama Shinkurô I. 11th lunar month of 1733: Hikogorô played at the Kita no Shinchi Shibai  the role of the servant Tarosaku in the kaomise drama "Funa Zukuri Mannen Goyomi", which was produced by Kirinoya Tôkurô. Fall 1735: Hikogorô went to Kyôto. 11th lunar month of 1735: Hikogorô played at Kameya Kumenojô's theater the role of Fukudayû, in reality Todoroki Momoemon, in the kaomise drama "Ôkamado Miyako no Ichigura", which was produced by his disciple Yamaki Kyôzô. 1st lunar month of 1736: Hikogorô's rank in the Kyôto hyôbanki, tachiyaku section, was jô-jô-(shiro)kichi (superior - superior - (white) excellent) [visual]. He shared the same rank with Somenoi Hanshirô. 11th lunar month of 1736: Hikogorô performed in Kyôto in the kaomise drama "Hiyoku Kin no Takaragura", which was produced at Daikokuya Takenojô's theater by Yoshizawa Tamazuma. Fall 1737: Hikogorô, along with his disciple Yamamoto Kyôzô and Kaneko Mantoku, went to Edo. 11th lunar month of 1737: Hikogorô played at the Nakamuraza the role of Soga no Tarô in the kaomise drama "Soga Monogatari Osana Nikki". 3rd lunar month of 1738: Hikogorô's rank in the Edo hyôbanki, tachiyaku section, was jô-jô-(shiro)kichi (superior - superior - (white) excellent) [visual]. 1740: he went back to Kamigata, where he became a full-time sakusha; his pen name was Yamamoto Kaseki. 12th lunar month of 1740: Kaseki  worked in Kyôto at Hayagumo Chôdayû's theater on the drama "Chinpô Sandai Gatana", which was produced by Sakakiyama Jûtarô I and starred Sakakiyama Koshirô I and Sakakiyama Shirotarô I. The title of this drama, literally "The Rare Treasure - Three Generations of Swords" , was an allusion to the three generations of actors of the Sakakiyama clan sharing the same stage. 2nd lunar month of 1741: Kaseki worked in the same theater on the new year ni-no-kawari drama "Keisei Deguchi no Yanagi"; no record afterwards. Yamamoto Hikogorô was an Ôsaka tachiyaku actor, then a sakusha for a while as a part-time work during the 1730s, then as a full-time work from 1740 to 1741. He was active in Ôsaka, Kyôto and Edo from the 1710s to the beginning of the 1740s. As an actor, he was jô-jô-kichi only for one season (1730). The 17th day of the 8th lunar month of the 14th year of the Kyôhô era was the 9th of September 1729 in the western calendar. Along with the two sakusha Narumi Ryôsuke and Kikuta Sadakurô.